EVAN: Ladies and gentlemen, children with surprisingly discerning taste, Gordon and I have managed to look past the weariness of a day of work to bring you a new installment of Evan and Gordon Talk. GORDON: That’s right- having not actually received any suggestions on time last E&G Talk, we’ve resorted once again to choosing for ourselves. Let this be a warning to you. EVAN: This topic arose organically, actually, due to a few posts by Gordon on piracy and my not being able to fully agree with them. And no, it’s not that kind of piracy, though we did start a new pirate-themed D&D game just this past Sunday. 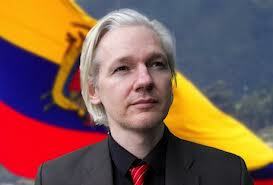 I am not of the mind that piracy is, in and of itself, a great and noble thing. Any indication or implication of this on my part is usually just in reaction to the mainstream media’s portrayal of piracy as a crime on par with defacing priceless art, grand theft auto, and punching old ladies in the face. EVAN: And in all fairness from my part, I will admit that I’m no saint when it comes to piracy. I stream a plethora of shows for my viewing pleasure, though I have [and this is likely the voice of Justification speaking] sworn off downloading full-length films, music, books, etc. GORDON: And Evan, I will attest, is not some twisted chaos-worshiping miscreant devoid of honor or humanity, as the major media industries would have you believe. Well, not entirely, anyways. Now, Evan, one of the justifications I’ve heard you use in the past is that you’re living in Canada. Many- if not all- US shows are simply unavailable outside of the States through any conventional means. EVAN: This is true. And while I resided in the States for my post-secondary education I made frequent use of the free streaming service Hulu. I even watched, and somewhat enjoyed, the ads. GORDON: And you’re certainly not alone in that. The vast majority of the world is in the same boat, forced to choose between piracy or waiting a few years for the DVDs to come out and then pay an exorbitant fee plus crazy shipping costs. Better hope your purchase isn’t damaged en-route. EVAN: Since we have been so good about being fair, I will point out that there are options- many television episodes are available to buy via Amazon, online. Before you ask why you should pay for something you would otherwise get for free I’d point out that you pay for these shows by watching ads, and that as someone not in the States you would not “otherwise get it for free” to begin with. GORDON: And that’s something I can actually tolerate. In spite of my muting ads and/or talking back to them while giving the corporate pigs the finger, I’m perfectly willing to subject myself to ’em if it means cheap and convenient access. EVAN: If I recall our time together in college correctly [which we both know I can, and do], I distinctly remember you blocking said ads with Adblock. GORDON: Even though it meant the waiting time was ultimately longer. EVAN: Which is besides the point. But let’s continue onwards: is piracy damaging? GORDON: The continued existence of Hollywood, as well as the ever increasing budget of films, would seem to indicate otherwise. There are people out there who might try to argue that piracy hurts new musicians, who can’t afford to lose profits like big businesses can, but that’s a flawed argument. Truth is, musicians only get a sliver of the profits they generate, and wind up losing the rights to their own songs in the process. Working independently with the consumer is generally a safer and more profitable move. EVAN: I will not argue with what you have said about musicians for a second. The amount they make through selling single tracks on iTunes is deplorable. What I will point to, however, are the other areas where piracy can [and does] occur. Television series live and die based on their ratings, and buying them does nothing to help what’s perfectly good [if not great] television. Similarly, if only 1,000 people decided to download a new issue of a comic book instead of simply paying the three or four dollars, that could mean the end of that series; titles that dip below 20,000 are typically cancelled soon afterwards. GORDON: I agree wholeheartedly. But I think that speaks the whole reason piracy exists- not malice, but rather cost and convenience. These people- especially television producers- have got to understand that their old metrics for measuring the popularity of shows are dead. It’s the equivalent of saying communication isn’t popular because house phones are dying out. No, we’re just turning to new, cheaper, and more convenient methods. 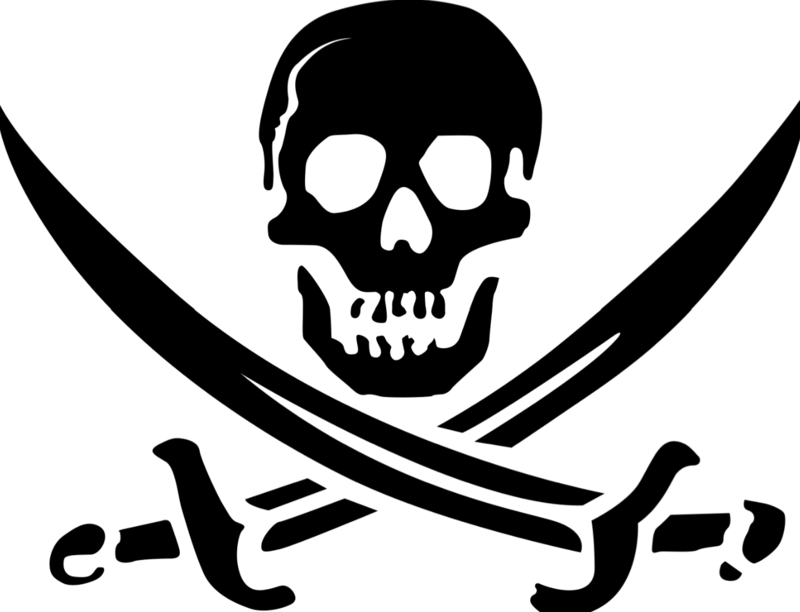 Piracy could be dealt a deathblow if these major industries would just step up their game, rather than trying to use lobbies and buy off politicians to keep us dancing to their tunes. EVAN: The thing is, I think in arguing for “cost and convenience” you run the risk of defending those who just a) want to get quality products for free b) whenever they want. It’s not just that people want ease in accessing what they love, the truth is that when given the choice between paying and not paying people will always opt for the latter. GORDON: I agree such people exist. EVAN: As I stated in your Shame Day post about the internet providers and their lobbying group, if people really love something they should be willing to sacrifice both time and money. Maybe that means working around an 8 pm show if it truly means that much to them, or paying for a copy of Captain Marvel. Not to bring it back to comic books [who am I kidding, it’s what I do], but you putting down a few dollars means that a talented writer or artist is able to keep on doing what they do: providing you with high-quality stuff. That’s an actual case where piracy can severely jeopardize both artists and their art. GORDON: Again, I agree. I do believe in paying for what I love. My record collection stands as a testament to this, as does my choice to spend a few extra bucks buying beer produced by one of the few ethical companies on this blighted earth. Tell me this- you like the show New Girl, right? GORDON: Would you pay fifty bucks American to watch the show at 4:12 (and ONLY at 4:12) in the afternoon? GORDON: How ’bout ten cents to watch it whenever you so desire? GORDON: You and millions others, am I right? Ten cents for a crisp, working copy rather than some choppy, blurry pirated version where the sound and video are out sync? EVAN: Oh, I stream at only the highest quality. GORDON: That’s my point, I guess. Yeah, there will always be people out there who don’t want to pay the ten cents, but overwhelmingly, that kind of price and convenience will make such a minority negligible. I assert again that piracy doesn’t exist because millions of people are art-hating maniacs, but because the business plans of these networks and companies are painfully obsolete and short-sighted, especially in regards to the international market. Heck, I’d say such changes could ultimately lead to these companies turning a healthy profit- especially if they just included some advertising à la early Hulu. Yet in spite of that, people in America still download TV shows all the time. If it doesn’t work for them, what makes you think they can extend something like that to the rest of the world? GORDON: Firstly, I disagree that 2 bucks is reasonable for an episode. That’s the cost of an entire dinner right there. How much more so is that going to be true for the rest of the world, who have even less? EVAN: Gordon. It’s two dollars. The average American does not spend that much on a full meal, they spend that much on stuff they don’t need, like gum or coffee or inane tabloids. As a country America is more than able to pay that paltry amount and yet they do not. My point stands. I’d further argue that since it’s digital that ease of access adds, not detracts, from its value. You can watch it whenever and wherever you want. GORDON: What I mean about it being digital is that it doesn’t cost money (anything noticeable) to reproduce it, unlike hard copies of things such as books or art. With that mind, charging two bucks an episode seems to me to be unreasonable. I’d cite the fact that for 20 dollars you can get a season of a show with (at least) 20 episodes as proof of this. The cost can, and should, be lowered for great consumption. EVAN: Like I said, we’re adding availability as a variable. Sure, you can pay 20$ for a full season of a show, but that’s waiting a year or however long it takes for it to come out. People are also paying for the availability of getting it when or soon after it airs. GORDON: That’s gonna be different from company to company, but for the most part, that’s true. But I’d jump back to my complaint about how little the actual artists get in all this. If anyone- anyone– is gonna set a price, let it be the ones producing the work. EVAN: Honestly, though, that’s an entirely different argument. The fact of the matter is that if a writer/artist wanted to print their own comic book there’s no way they’d be able to do it on any significant scale on their own, the cost of printing alone would wreck them. Different industries pay those who work in them different amounts, and it’s not the topic of our conversation this week. GORDON: Again, my issue isn’t with the fact that we must pay; we can all get behind this. My issue is with the terms and conditions we’re subjected to- especially when big companies start throwing their weight around to slow progress. If piracy is the rampant issue that they say it is- and I seriously contest that- then I submit that the fault is on their part for adopting inconvenient, pricey, and exclusionary policies. Let me put it this way: If you say apples can only be purchased by people who’ve climbed Mount Everest, you’re gonna create a lot of apple thieves. EVAN: We’ve left you a lot to think about, even if you’re not someone who refreshes a website over and over waiting for a new episode of 2 Broke Girls to pop up [did you know I review that show?]. So with that ladies, gentlemen, and genius babies, we bid you a happy Wednesday. We came up with this week’s topic, but you can decide if next week we talk about . . . um . . . Dungeons & Dragons. How we’ve chosen to play it and why we think it works [better?]. GORDON: Alternatively, you may vote that we discuss the role of religion in our (relatively) secular society. EVAN: Thank you, as always, for reading, and please vote! Normally, Thursdays here at Culture War Reporters is dedicated to “Fame Day,” in which Evan and I call attention to people, events, or trends we think aren’t getting the attention they deserve. Partly due to my illness, partly due to some unforeseen time constraints, and mostly because of the severity of the issue in question, today there will be no Fame Day. Instead, we’ll be performing an emergency Shame Day on the subject of yesterday’s terrible news that five major internet service providers (ISPs) will be implementing a “six-strike” system on people suspected of copyright infringement. Normally, when you sign up with an internet provider, exactly what you do or don’t do with your connection is entirely and exclusively your business. Whether it’s something as impressive as you doing an electric guitar cover of the hallelujah chorus or as lousy as writing a thousand comments calling that same YouTube video gay is all up to you. What you read, what you write, what you post, what you view- the ISP is simply there (as the name states) to provide internet. Yesterday, five major ISPs (Verizon, Time Warner, Cablevision, Comcast, and AT&T) announced that they would be participating in this anti-piracy initiative spearheaded by the “Center for Copyright Information” or “CCI”- a lobbyist group for a number of media groups. Quite simply, individual users suspected of “copyright infringement” will be given five warnings, the sixth “strike” resulting in their internet speed being slashed to dial-up quality for an unspecified amount of time. Now you’re probably thinking “Hey- just don’t pirate stuff and you’ll be fine!” and you know what? You’re right. You don’t have to pirate. I’m taking over from this point on for a number of reasons. For the most part because although Gordon had good things to say, he didn‘t necessarily say them well, and in some cases didn’t make very much sense; we’re going to chalk that up to his recent illness. I will be relating to you what points of his that I can, while adding my own. Gordon’s next point is that for the most part, many people pirate because of time and money. Focusing on time, the truth is that we can’t always guarantee that we’ll be at home on a Thursday night to catch The Office. Maybe we’re working another job [many of us need to], or maybe we just forgot. What options does this leave us? For those of us in America, Hulu is always an option. The on-demand streaming site once provided a very broad range of TV programming, and Gordon points out that it’s a fantastic resource, or at least used to be. Nowadays, however, it’s a lot more difficult to use than it used to be. Hulu Plus, which requires a subscription, is needed to watch a lot of older shows, sometimes even episodes that aired a month ago, if New Girl is any indication. With one of the most convenient resources made less so, is it any wonder that so many people simply turn to torrents? Gordon’s next point, and a very valid one, is this issue of the Six Strike System and how it relates to piracy. There’s an issue of what exactly is at stake here. Gordon insists that the answer to that is everything, and while I’m not fully with him on that, there’s some sense to what he’s saying. Piracy is not a subject I agree with Gordon on, and in fact I had a very hard time letting his last piece on the subject be put up on the blog. If people really, truly love art, whether it take the form of television or movies or video games they need to vote with their wallets and know that what they love is worth spending money on. That being said, I do believe that what these ISPs are doing is wrong, particularly in that they have no one to be accountable but themselves. No business or corporation should have that right. 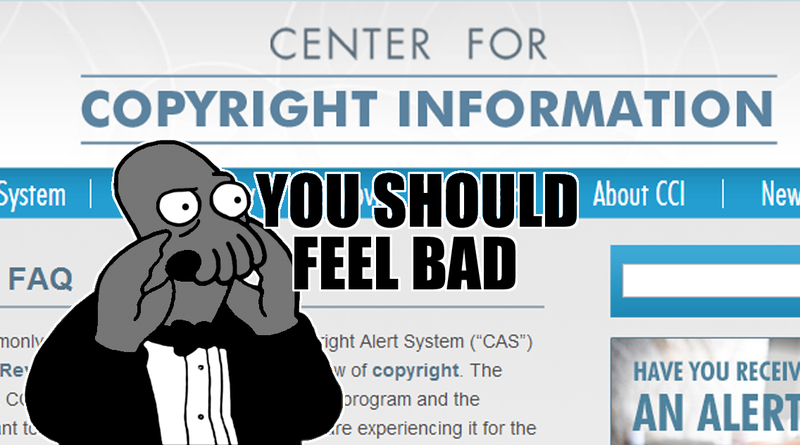 Shame on these ISPs, and shame on the Center for Copyright Information.